It looks like Asus may have a new tablet to add to its Transformer range of tablets, as a new device has appeared at the FCC, the Asus TF500T, which is not something we have heard about previously. 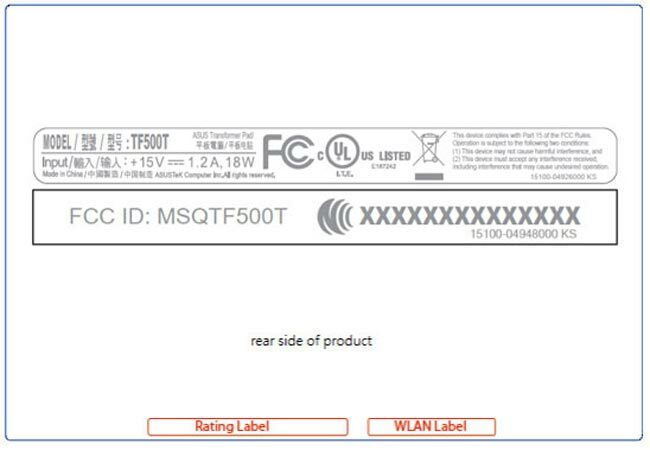 There really are not many details with the FCC listing of the device, but it looks to be some sort of tablet, and going on the model name we suspect its will join the Asus TF201, TF300 and TF700 in their transformer line up. Hopefully he will hear some more details about the new Asus TF500T transformer tablet at IFA later this month, as soon as we get some more specifications and an actual picture of the device we will let you guys know.